Here's a quick post to share some fun "Batman-related" pics I am pretty proud of. 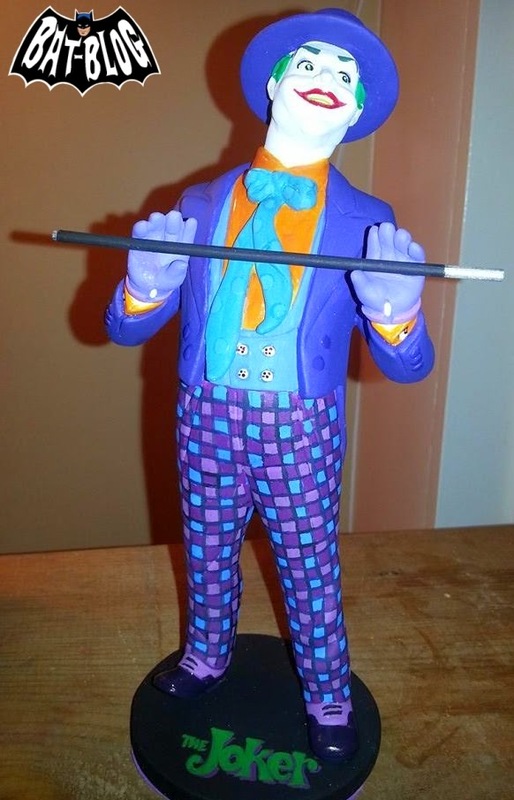 Check out this custom JOKER Statue that was created by a friend / artist named Pete Arico. 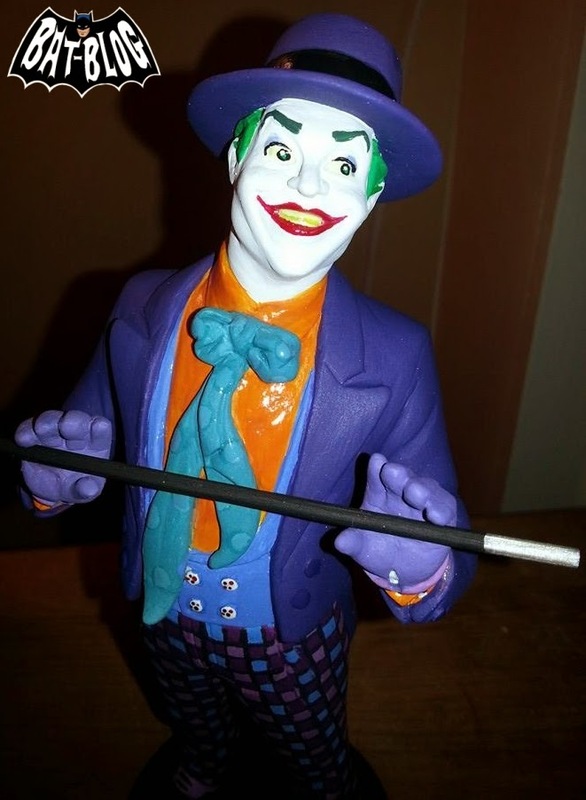 It's sort of a cartoon-style version of Jack Nicholson from the 1989 BATMAN movie by Tim Burton. 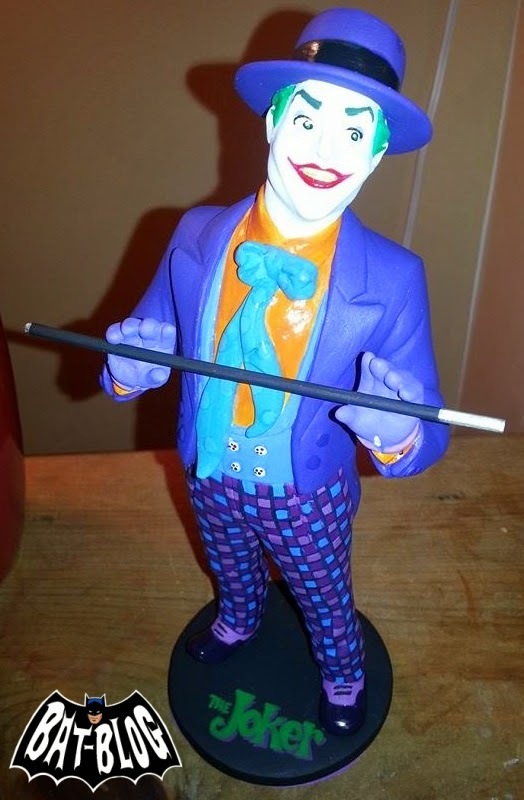 He sculpted and painted this thing himself and said that the hardest part was painting Joker's pants. Look at them, it must have taken forever to paint all those different-colored squares, ha! But the end result is pretty amazing. This thing needs to go into production and become an actual piece of bat-merchandise. Now, I forget the exact measurements, but I think it's about 12 or 13 inches tall. Sorry, I forgot, but it is still pretty amazing and the face is dead-on!